This title was first published in 2000: The development of genetically-modified foods has given rise to much widespread and heated debate on the possible consequences - both positive and negative - of this new technology. 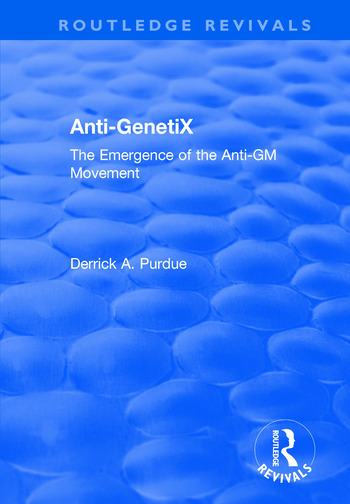 This book not only addresses the broad issues involved (outlining the connections between gene patenting and biotechnology and their impact on international relations), but also, for the first time, examines the social movement emerging against GM food. Anti-GenetiX traces this movement from its emergence and shows how and why it expanded from a small expert concern to the current huge political uproar. It explores the contribution this movement makes to shaping global civil society and argues that such global social movements will become increasingly common in the global age. Contents: Genetic patenting: knowledge, global governance and the anti-GM movement; Patenting discourses: enclosure and expert systems; Global governance: hegemonic trips, biotech and the WTO; The counter-expert challenge: NGO leadership in the anti-GM movement; Cosmopolitan networking: counter-experts and global civil society; Global civil society and global governance: NGOs and the FAO in Leipzig; Conclusion: counter-experts, social movements and global politics; Bibliography; Index. Derrick A. Purdue, Research Fellow, Cities Research Centre, University of the West of England, Bristol, UK.